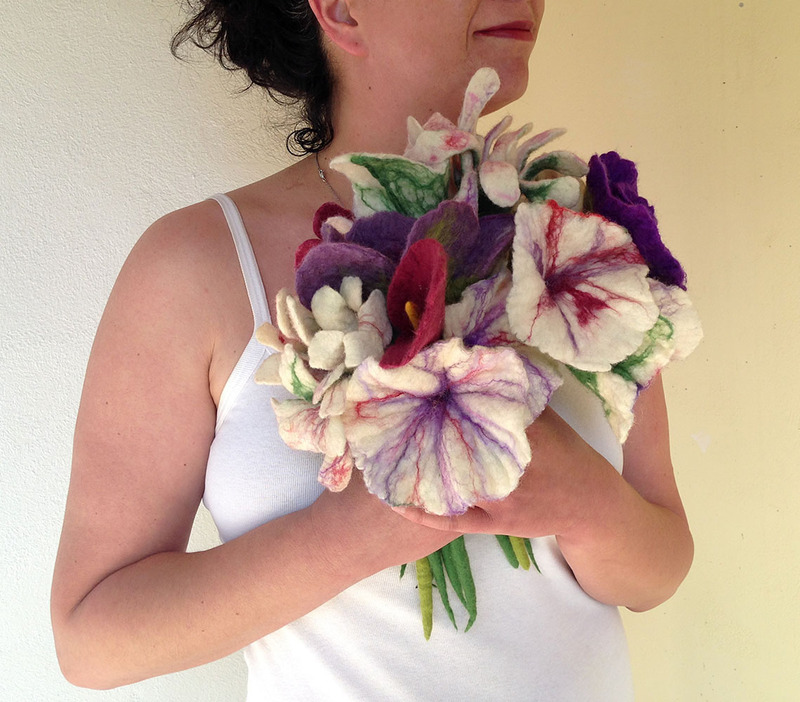 This bounty and rich bouquet is hand-felted especially for you who search for an extraordinary, romantic and eco-friendly gift for your special person or you want to make the happiest day of your life handmade! Something which will last to remind both of you your beautiful unique occasion! 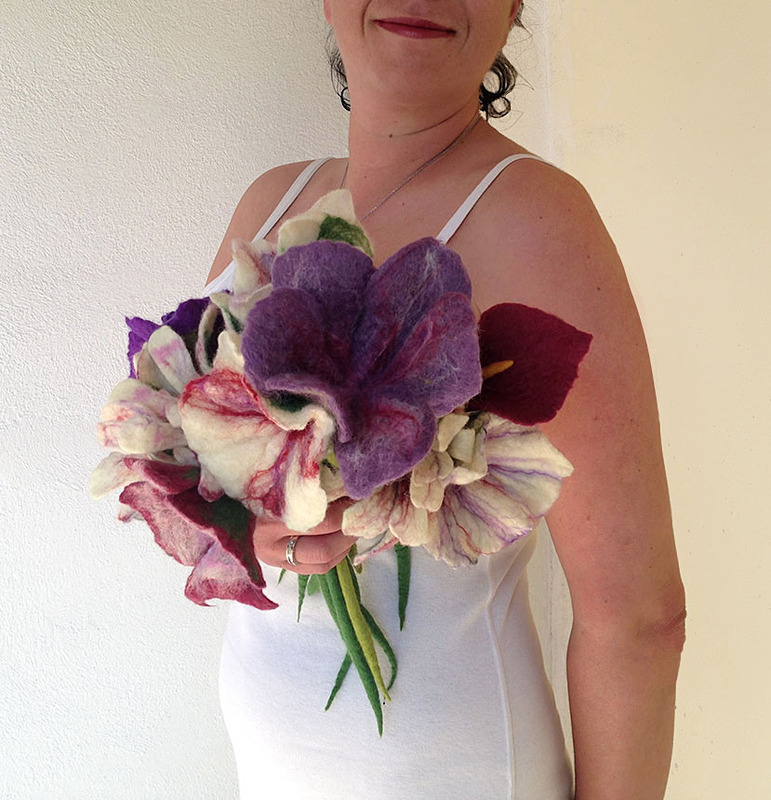 Each small bouquet (5) consists of 3 felted flowers in a variety of colors made for the bridesmaids of one of my customer’s wedding. 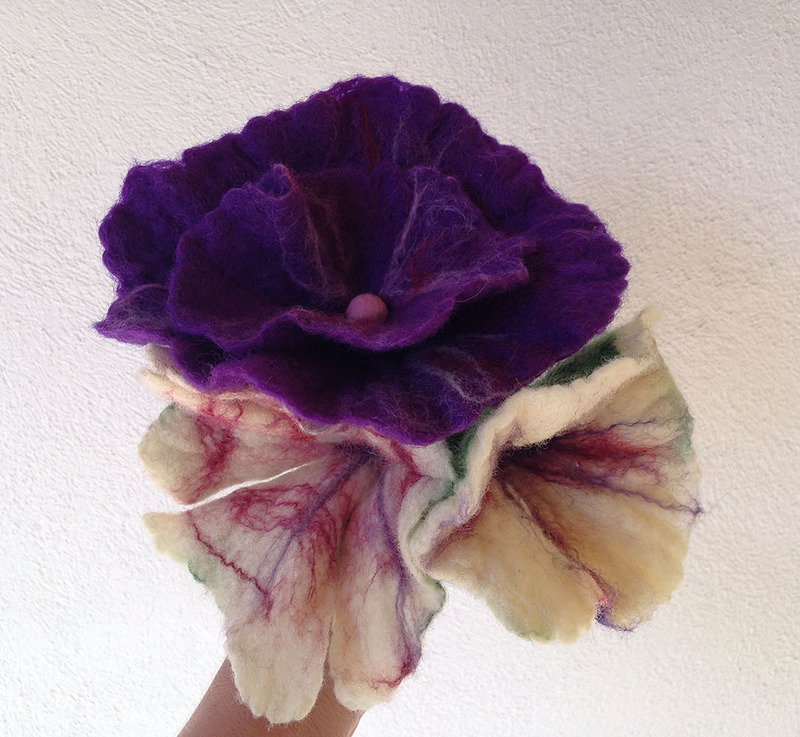 All of them are hand felted using the wet felting technique with extra-fine merino wool from Australia and South America. The colors range from violet to white including purple, pink, lilac, strawberry and their stalks are made in leaf green and apple green color. They are bound together with the stalk of the longest flower and they stand straight because in their stalk is contained a small piece of galvanized, stainless wire. 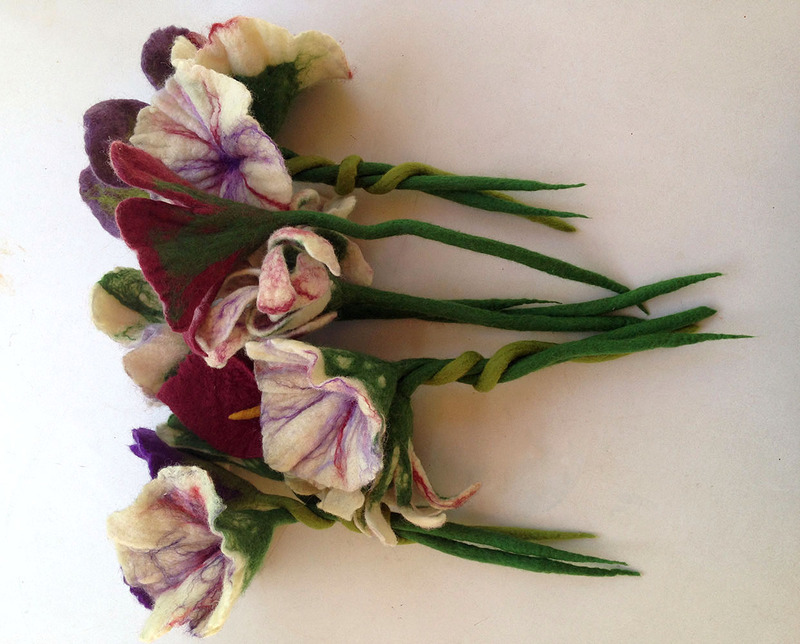 Thus it can be used as bouquet to decorate your favorite vase or each one separately as hair embellishment or wrist corsage. 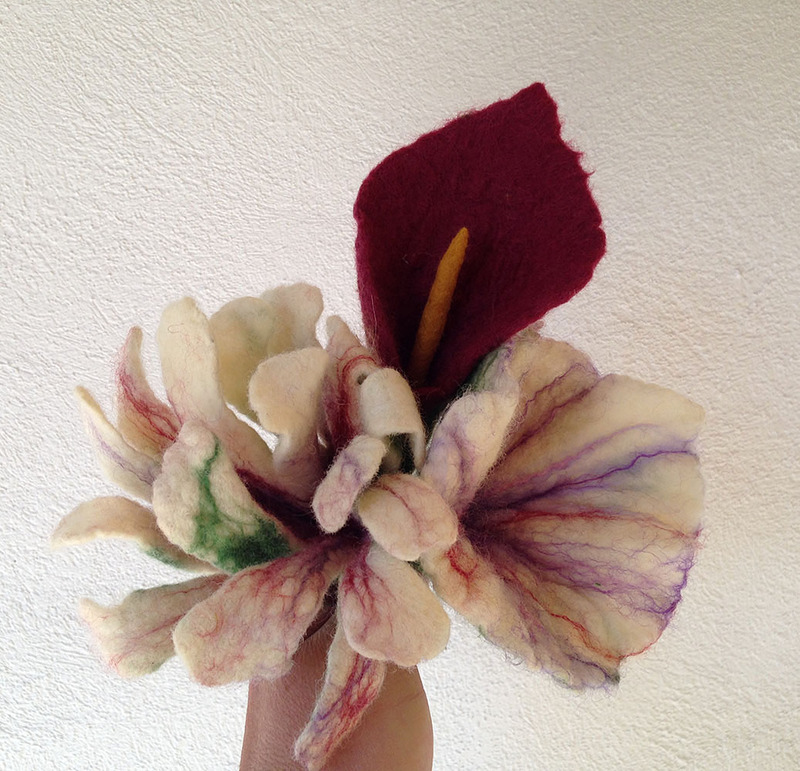 Each flower measures approximately 9 cm (3.5 in) diameter and 24 cm (9.4 in) stalk. 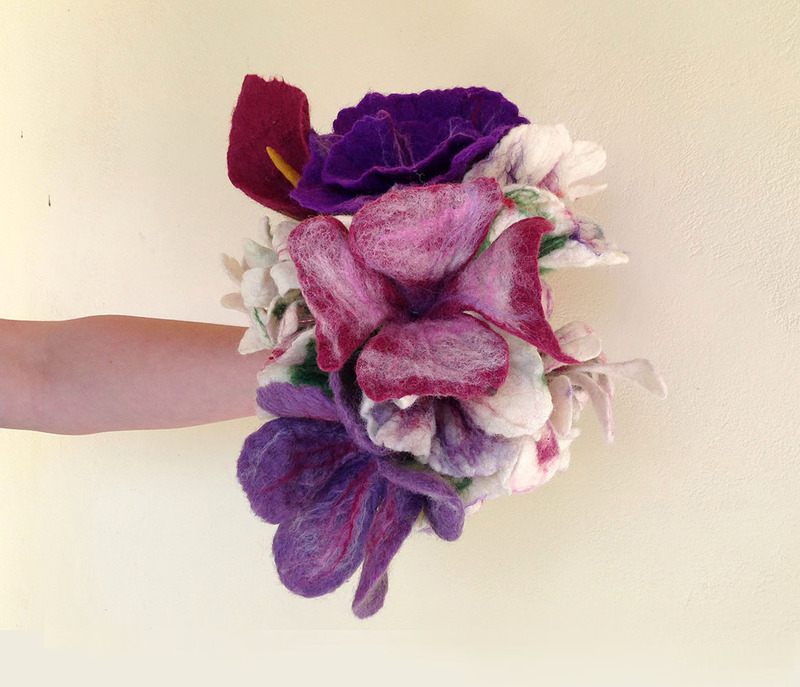 *This bouquet is made to order only! If you are interested please let me know any color preferences of the flowers. 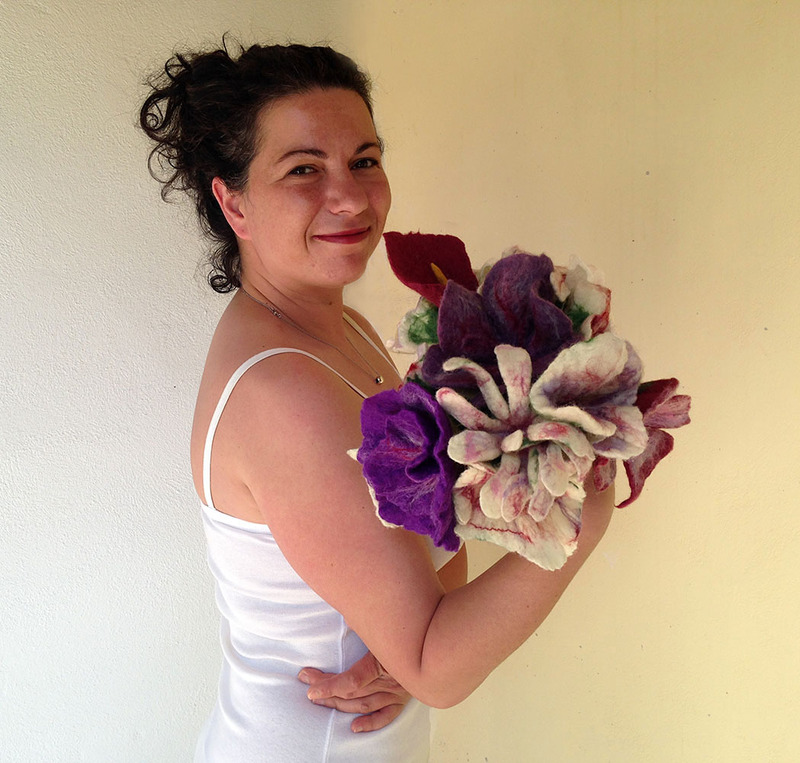 The bouquet needs approximately 1 month to be ready for shipping! Make the most important moments of your life exceptional and everlasting! 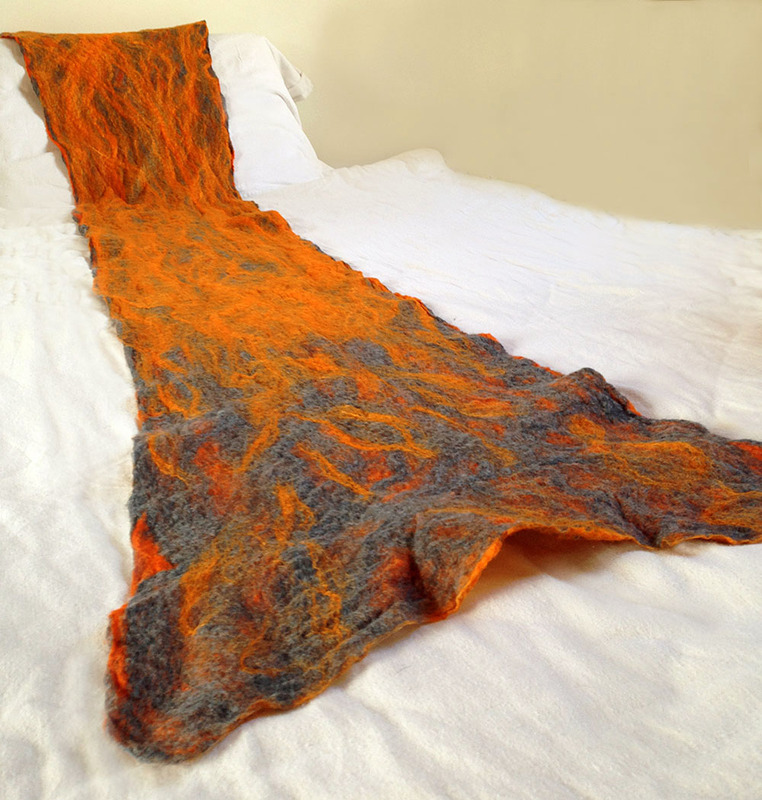 This breezy and loose scarf is hand-felted with the cobweb felting technique especially for you who look for an exceptional and silky-smooth gift for a unique occasion and for your beloved ones. Make your unique moments handmade! 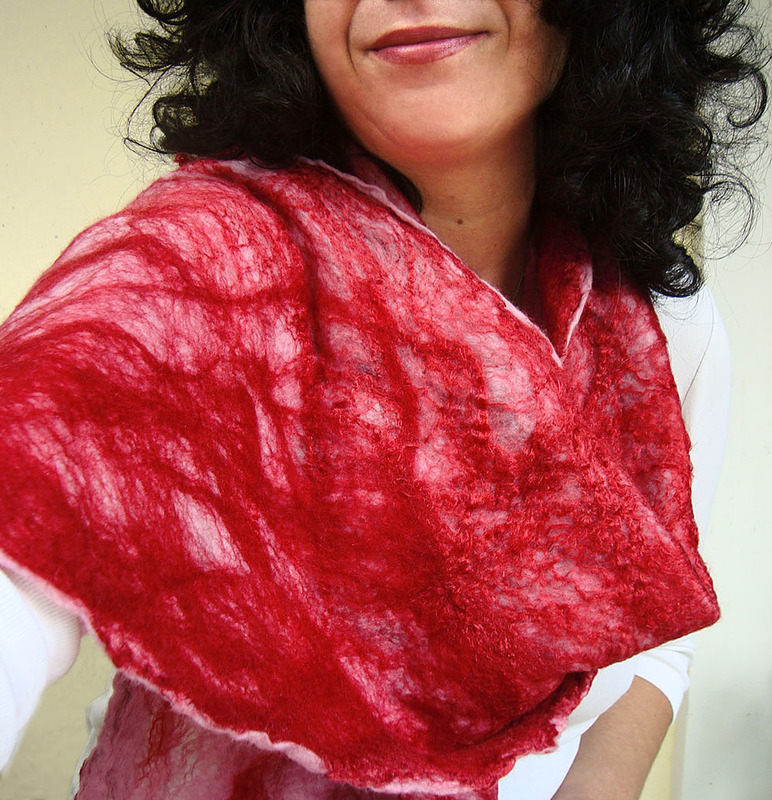 The scarf is made with the cobweb felt technique, thus some of its parts are transparent with some small holes. 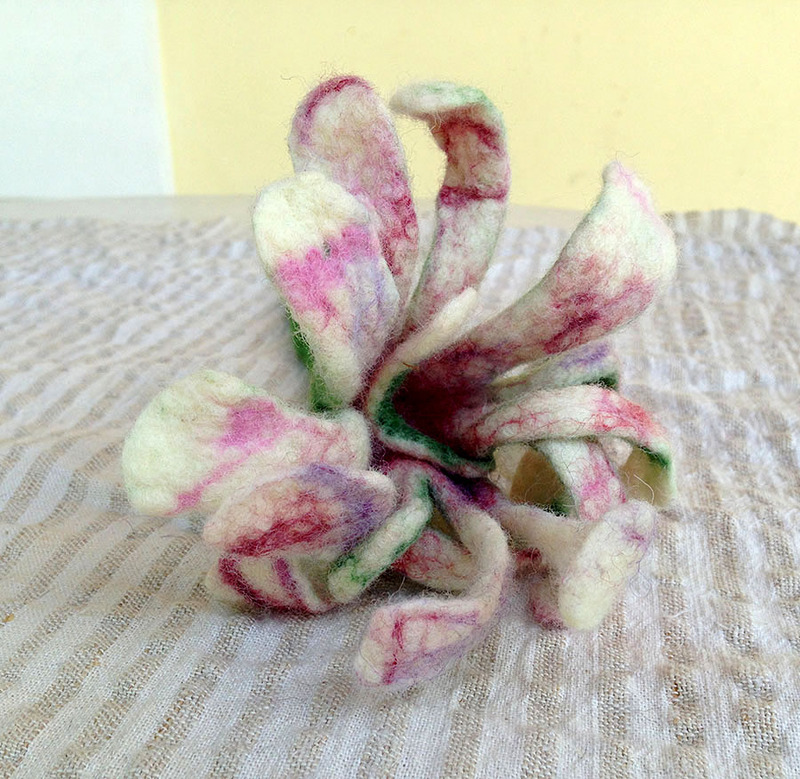 This is the fascinating part of the cobweb felt which makes it unique. 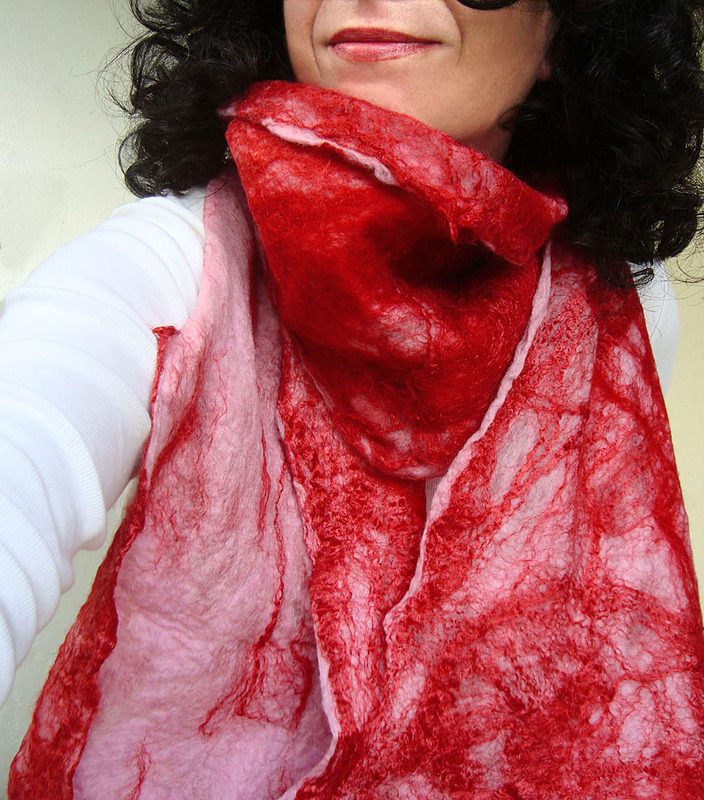 For the scarf is used extra-fine merino wool (18 mic) from Australia and New Zealand in red and pink colors. Additionally a large quantity of mulberry silk threads again in red are used in order to offer a shiny effect which adopts different hues depending on the natural light. 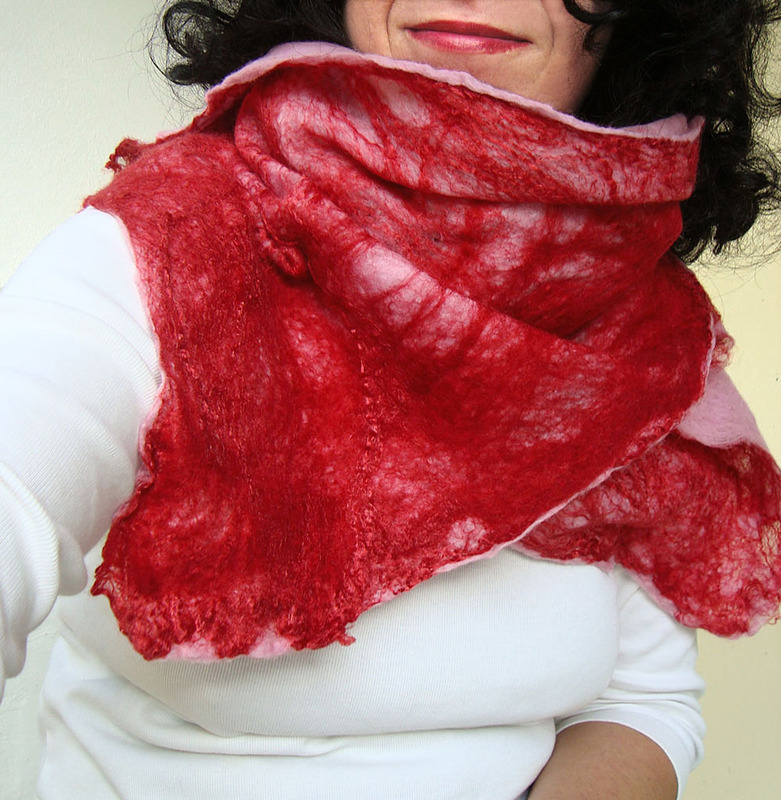 The scarf is double-felted and has similar pattern on both sides. It measures approximately 190 cm (74.8 in) length and 27-45 cm (10.6-17.7 in) width. 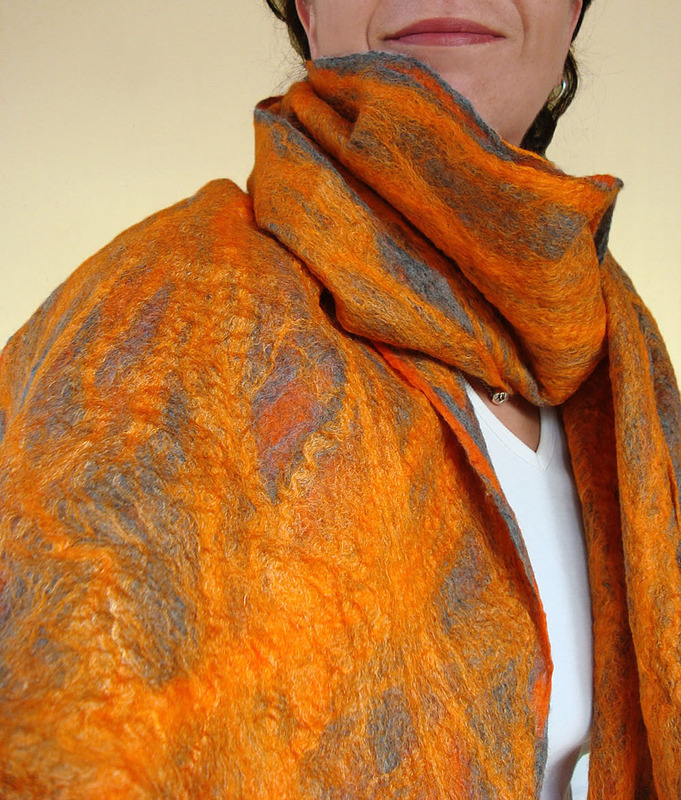 This scarf’s edges are wide giving the impression of a butterfly! 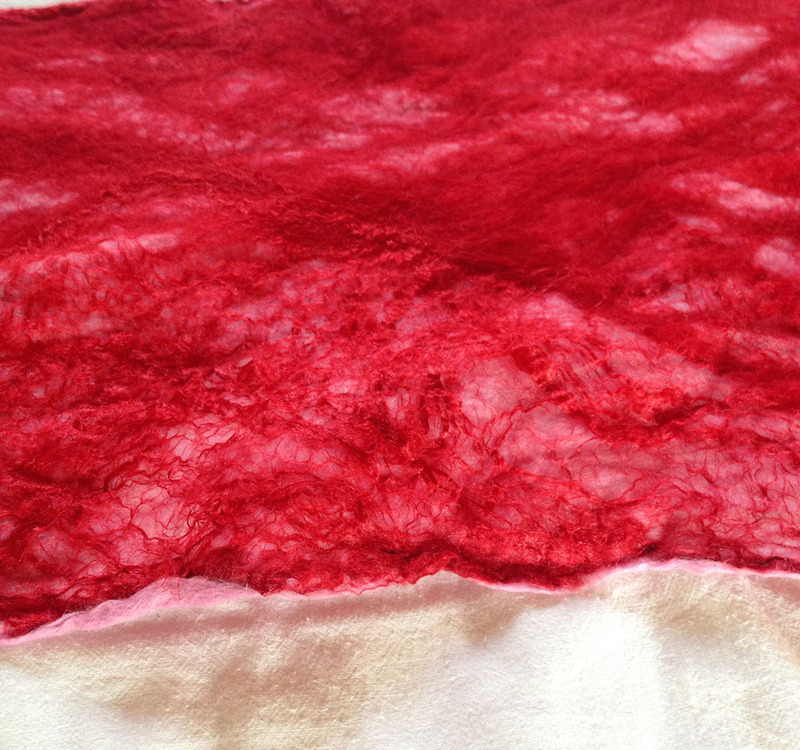 Although made of wool it is soft and airy and it feels absolutely like silk! 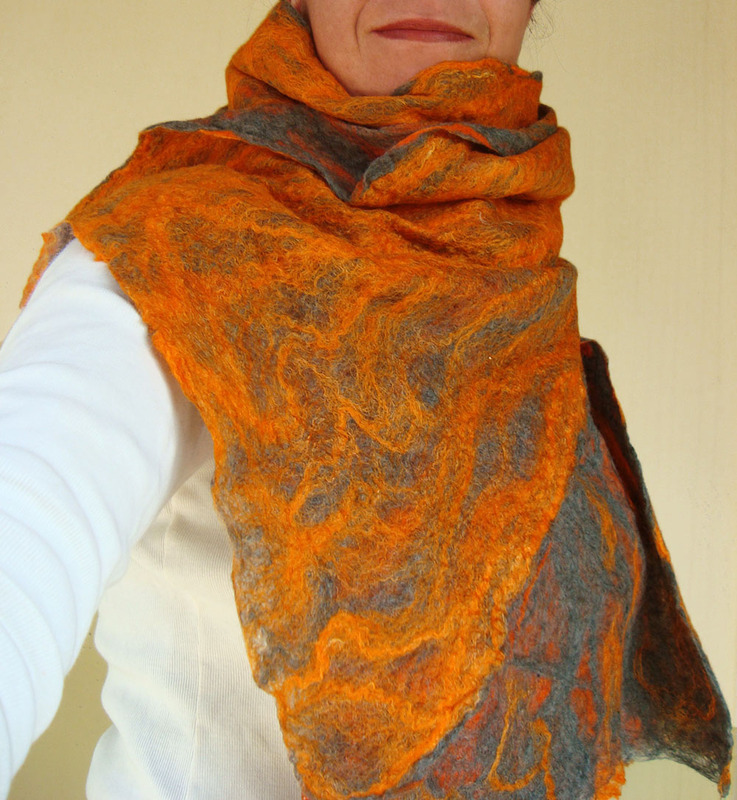 As all scarves made by QaraQul are a unique piece! You can pay via PayPal by clicking on the button “BUY NOW!”, if you have a PayPal account. Otherwise you can pay with your debit or credit card by clicking again on the button “BUY NOW!” (no need for PayPal account) and then choosing “Don’t have a PayPal account” (the instructions will lead you to “Check out”). For more info here! 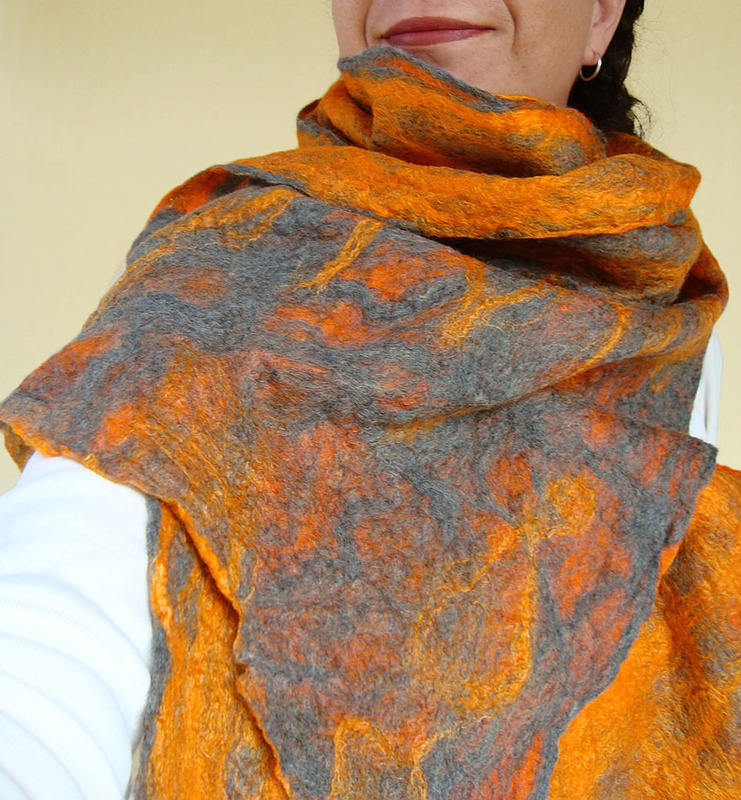 For the scarf is used extra-fine merino wool (18 mic) from Australia and New Zealand in orange and gray colors. 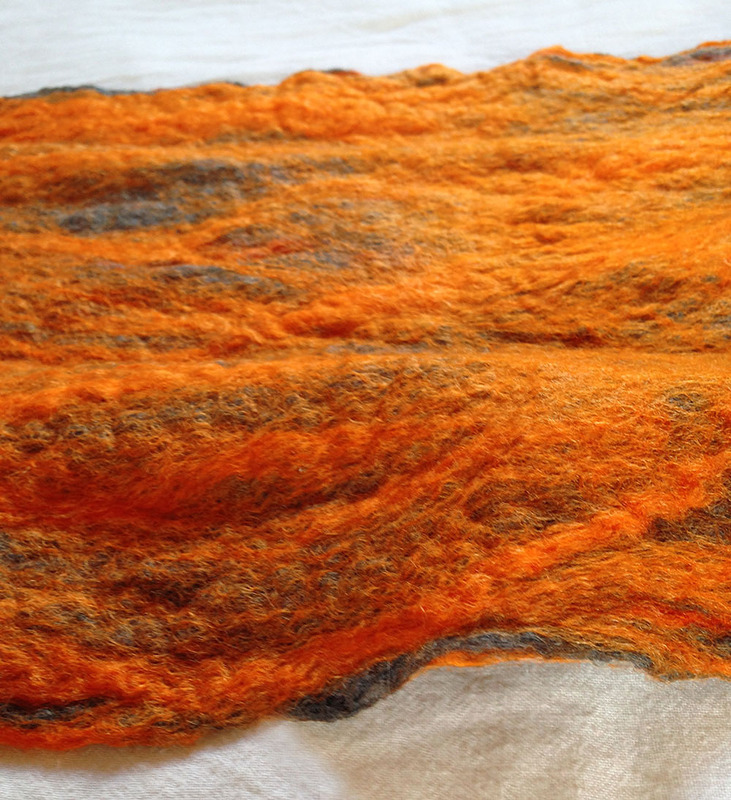 Additionally a large quantity of tussah silk threads again in orange are used in order to offer a shiny effect which adopts different hues depending on the natural light. 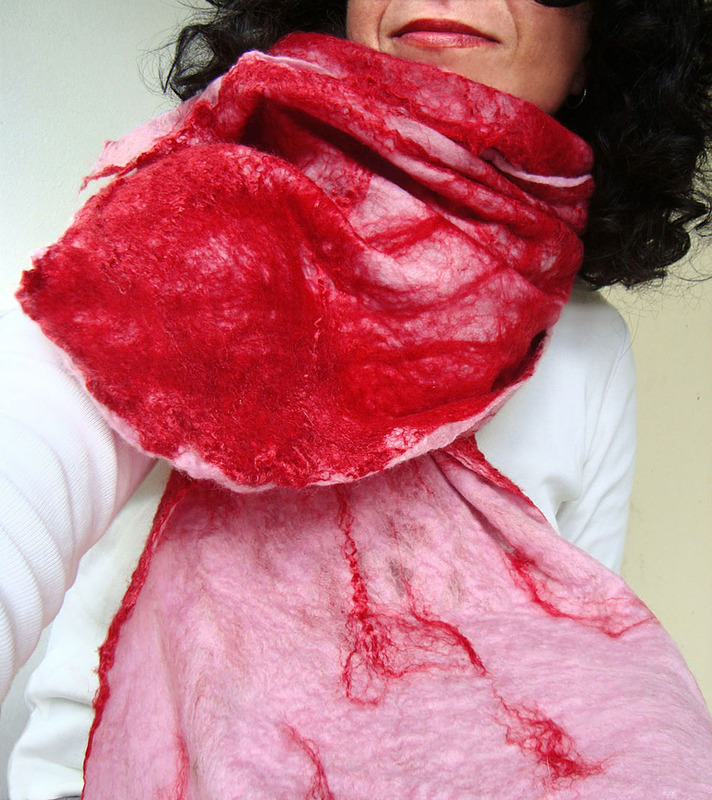 The scarf is double-felted and has similar pattern on both sides. It measures approximately 197 cm (77.5 in) length and 31-41 cm (12.2-16.1 in) width. 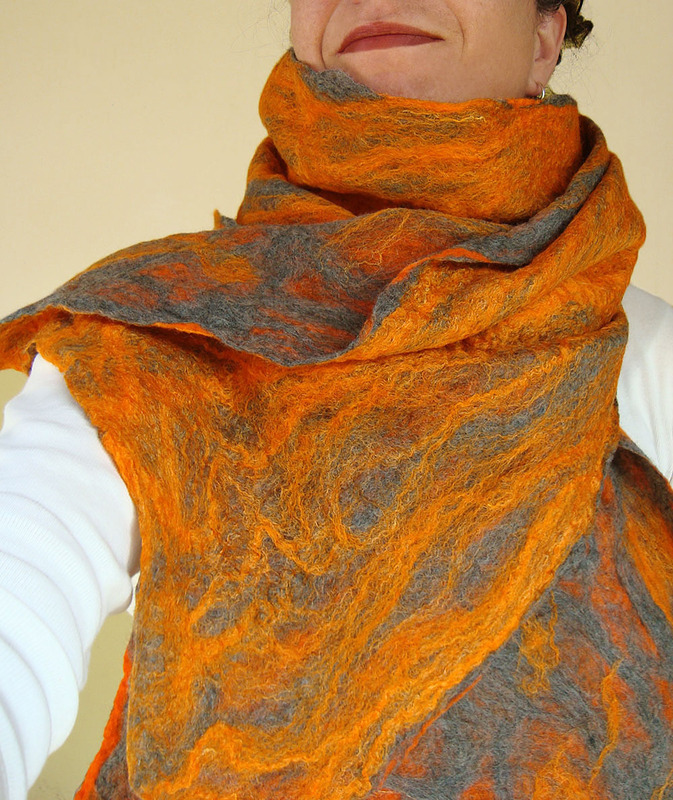 This scarf’s edges are wide giving the impression of a butterfly!